And she has voicemails to prove it! 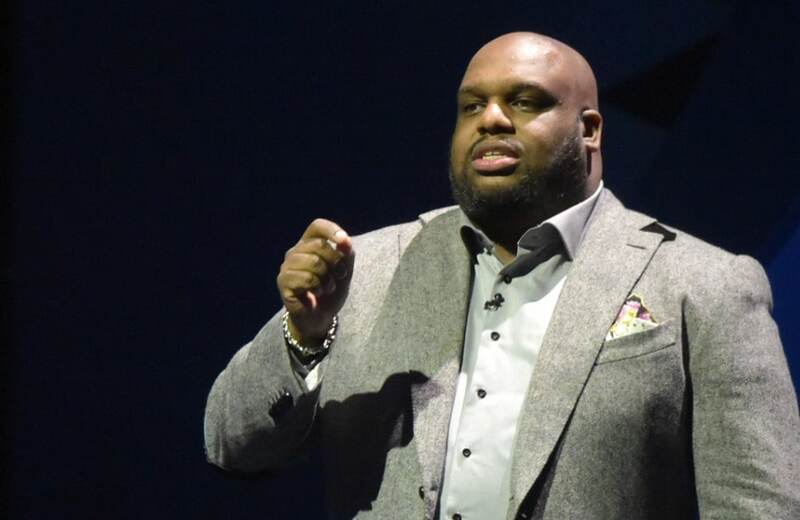 The woman at the center of Pastor John Gray‘s so-called emotional affair claims it was more to it than that, and she has the voicemails to prove it. The spilled tea comes after the pastor and his wife, Aventer, appeared recently on The Real to clear the air. The woman, who so far has been unnamed, is allegedly not happy about being known as the woman “who tried to disrupt their marriage and their ministry,” and said it was actually Gray who tried to turn the “friendship” into something else, according to Praise Baltimore. During an interview with TV show host, Larry Reid, the woman, who has known Gray for 20 years, said the incident began when the pastor helped her with her employee who was dealing with addiction issues. When she thanked him, that’s when boundaries were crossed. “So I sent him a text message telling him thank you. And he said, ‘Whatever you need.’ And I was like ‘Well thank you.’ And he said, ‘I’m talking about you,” she said. From that conversation, the relationship began getting deeper. The woman said when she was having financial troubles, Gray provided support. Gray allegedly told the woman that he didn’t “love” his wife and “he only married her because she looked good on paper.” He said he planned to leave her. Although this is from the mistress’ side of the story, she does have voicemails to confirm her statements. The voicemails and the interview with the mistress begin at 1:02:50.